A+ Images makes custom shirts and signs. 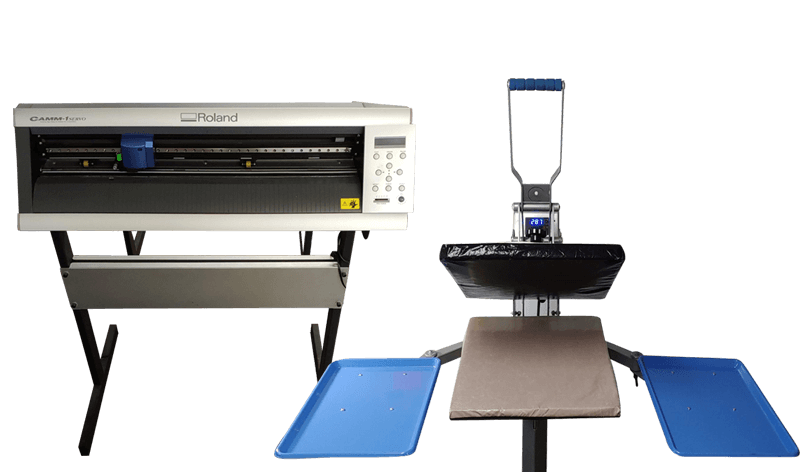 We are a full-service garment decorator featuring Direct-to-Garment (DTG), Embroidery, Screen Printing, Vinyl, and Sublimation. 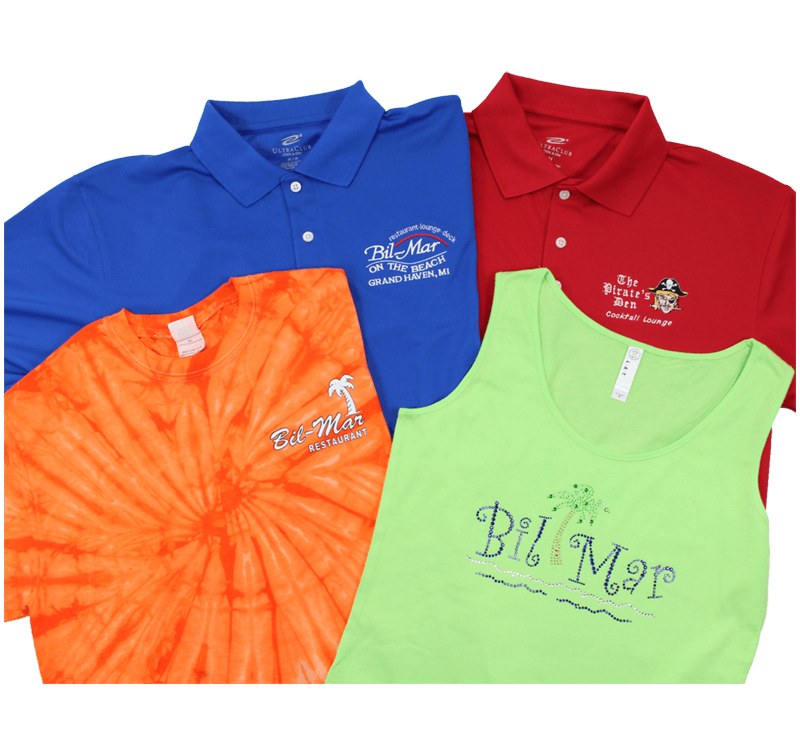 We are your one-stop-shop for all your apparel decorating and sign-making needs. All printing and decorating is done in-house. We have graphic designers and an online design tool to help you create the Custom Shirt of your dreams. If you are tired of working with massive online companies with poor customer service and print quality, come see us. 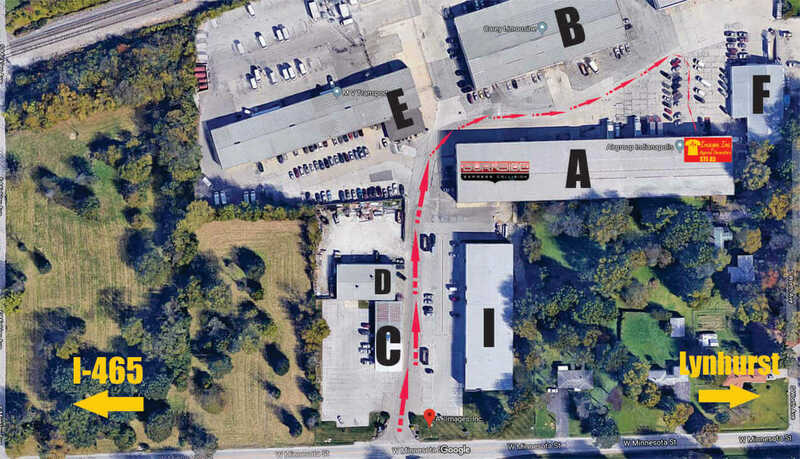 Located on the west side of Indianapolis, IN, we are open to the public and offer contract/wholesale pricing for established businesses. 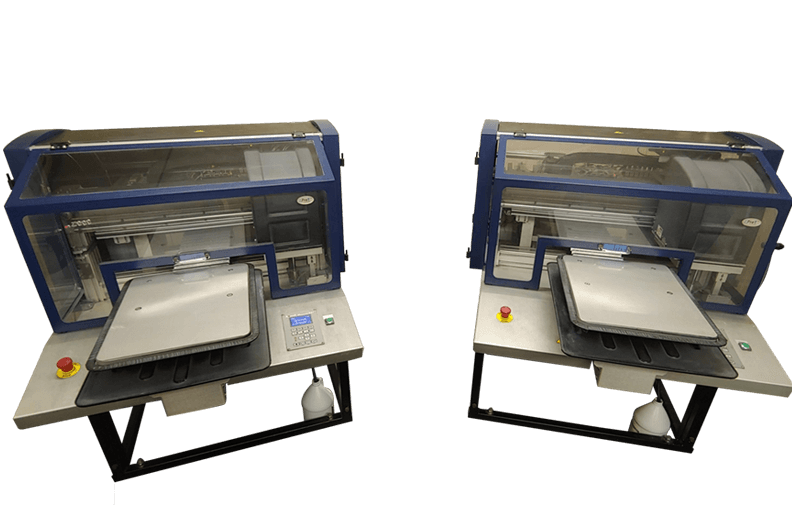 We specialize in lower quantity orders (1 to 500) and offer quick turnaround times. Check out our services for more information and contact us today to get started on your next apparel or sign project! 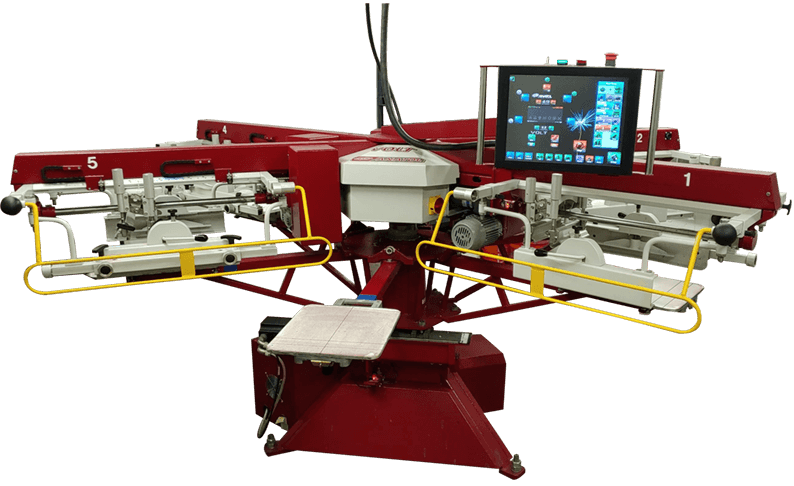 Direct to garment printing (also known as DTG, D2, or digital printing) is the newest and most advanced type of apparel decoration. 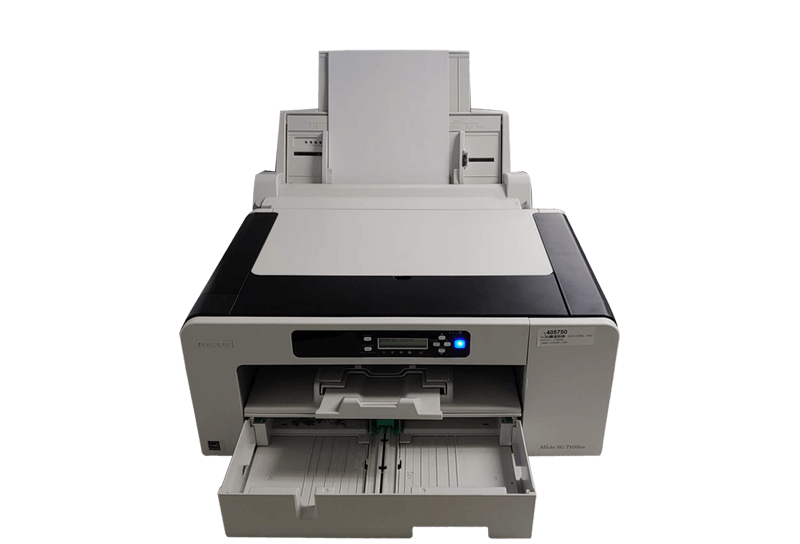 It allows for high-resolution, full-color printing with no minimums. Embroidery is an extremely common form of apparel decoration, usually involving logos, for corporate branding, spirit wear, and more. We specialize in one-color, low quantity (<500) shirts orders. Screen printing is a great option for projects with a low budget. We stock a variety of vinyl for use on different fabrics. Vinyl is great for names, numbers, and small runs of simple logos. We also offer a variety of blank vinyl for sale. Also referred to as "bling-bling" or "hot-fix stones", rhinestones are sparkling stones of various sizes, shapes, and colors used to create a design. They are great for spirit wear. 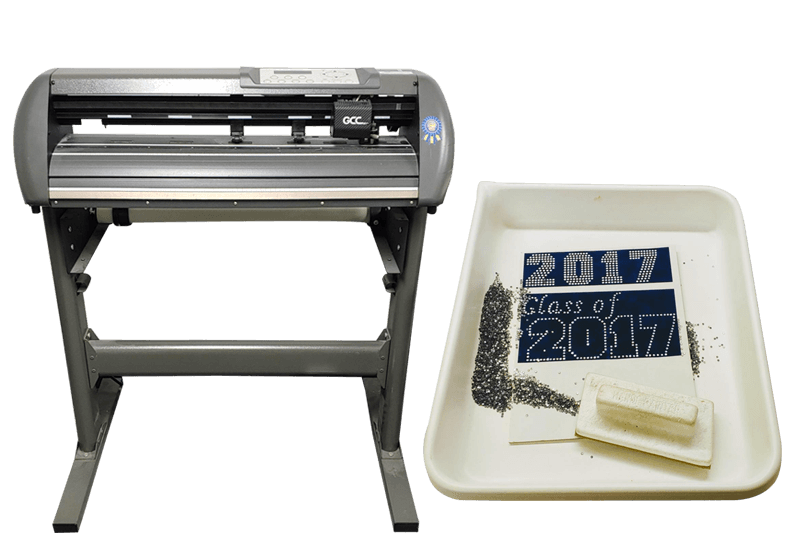 Sublimation is a type of full-color digital printing that uses heat to transfer dye to certain materials (shirts, mousepads, license plates, & more) using special inks and paper. 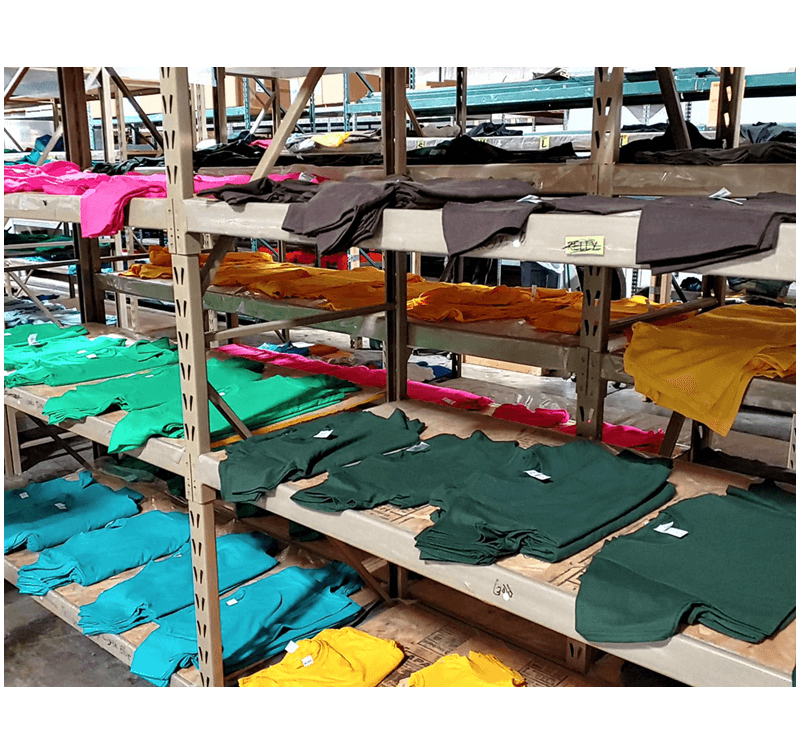 We aren’t a national distributor of blank garments, but we do carry many different styles, colors and sizes in our warehouse. Need a couple of blank shirts last minute? We can probably help! We can help you create custom shirts for any occasion. If you don’t know much about garment printing techniques, read this page first. 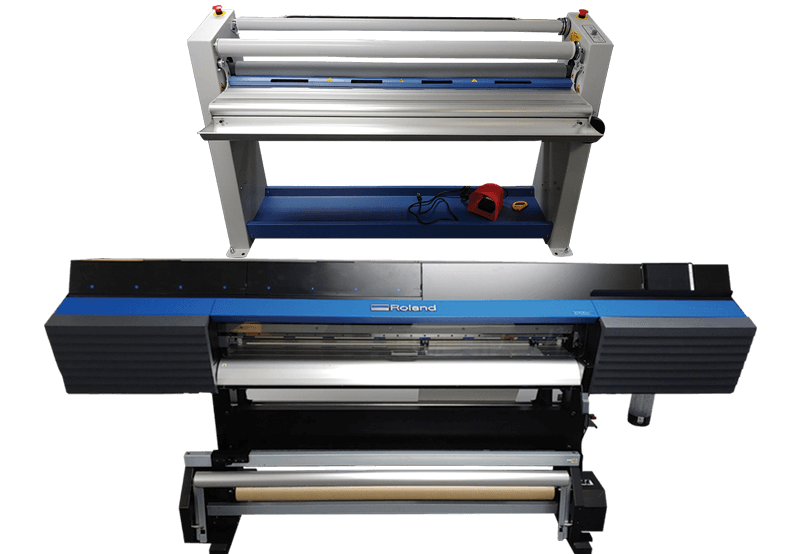 High-resolution, full color printing for signs, banners, decals, and more! Available with laminated finishes. Many of the large online fulfillment centers are mostly automated and have print quotas employees must meet. There is little human involvement to discover problems before it’s too late. Quantity, not quality is what matters to them. Those are not issues we face. Quality matters here. We inspect every garment ordered through us for defects prior to decorating it, and again once it is decorated for print quality. In fact, our shirt vendors say we are their pickiest customers and have the highest return rate in the country. Amazing customer service is also extremely important. At A+ Images, when you call during normal business hours, you skip the annoying automated message and talk directly to an actual human being. 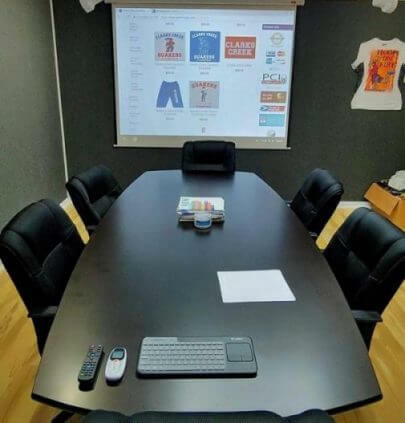 Discuss your custom shirt or sign project in our conference room. 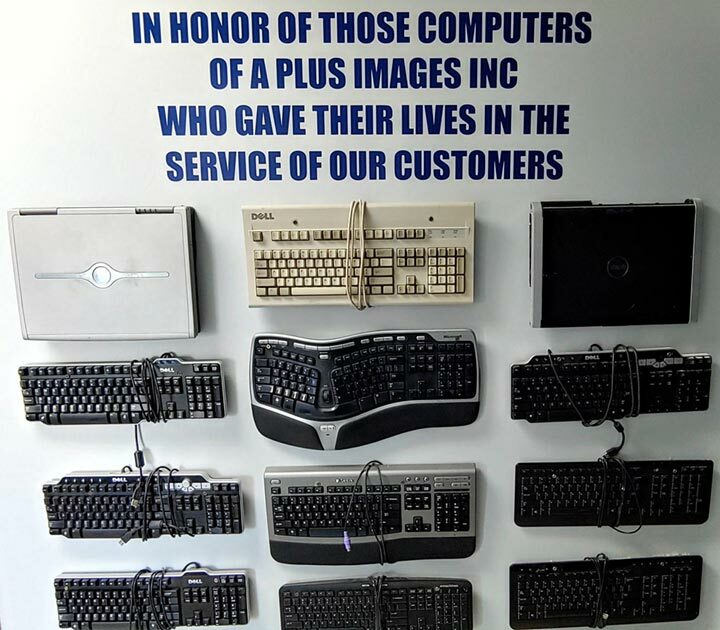 When you come in to our office, you can work with our knowledgeable team directly, see our equipment, samples of our work, try on garments, go over artwork, and get all your questions answered. The giant online fulfillment centers cannot match this experience. 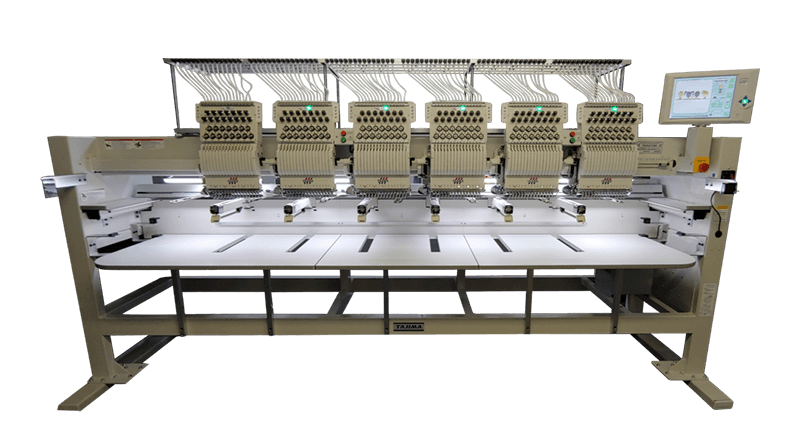 Additionally, because people set up artwork for production instead of automated systems, we can catch most issues before garments get decorated. Finally, we offer incredibly fast turnaround times. Because we stock a wide variety of garments and order shirts every day, we can turnaround almost every custom order in under a week. Many orders are completed within 1-3 business days. In some cases we can print shirts while you wait! We do this without charging rush fees! Go ahead and give us a try. Bring in a sample and compare it to our work. Under Armour Now Available for Corporate Wear!